While an informal survey of readers with Internet handles certainly isn’t a scientific way to research a topic, collision repairers might find some interesting consumer and industry perspectives on OEM versus aftermarket parts with a Monday Jalopnik article. The piece cued off of a Tyre Reviews YouTube video comparing what the Tyre Reviews called the “extremely well regarded Continental Sport Contact 6, and the ‘rather good for a budget’ Rotalla RU01 S-Pace” tires on a Mercedes C63 AMG. Tyre Reviews pointed out the lack of consistency in the cheaper tires — a driver needs to trust their vehicle’s handling, the critic argued — and the fate of a foam dummy who would have been spared by the more expensive rubber. Through general agreement, us Jalops came together yesterday and decided that tires are one thing that you should definitely not go cheap on. This makes sense, as they are the only bit of the car that touches the road. You don’t have to go tippy-top shelf, but you probably shouldn’t be buying a set for 50 bucks, either. It then opened the question to the readers, and while Jalopnik is focused on service and mechanical parts (as are its responding readers), not collision components, some of the items discussed might overlap between the two automotive worlds. The conversation also makes for an interesting postscript to a June Jalopnik piece on the “Wild West” of aftermarket mechanical part quality we highlighted in Repairer Driven News and to the July Collision Industry Conference discussion of aftermarket parts. “They’re terrified of the liability,” CaveCreek Business Development owner Janet Chaney said during the July CIC of her shop clients’ view of non-OEM parts. Multiple automakers warn that only new OEM parts are guaranteed. For the shops which are concerned with that liability, the Jalopnik comments indicate what arguments against going cheap on parts might resonate with an insurer, average customer or educated DIYer. This is interesting given KATV and WTVR reports of shops resisting alternative suspension parts. This argument would seem to apply to reconditioned wheels, which might also be of “questionable” and uncertain quality. From “Blockheads”: “I don’t like the argument about oil filters. Those manufactures probably make the filters to the spec of the company that contracts them. I’ve worked places that are contract manufacturers. We give them a price based off what they specify. If they want the better material, that means we charge them more than the company that specs the cheapest. So that same place could be making great filters and simultaneously make ones that are less than good… even bad. It’s all was the customer (the name that gets thrown on it) wants. They might be aiming for a really low price point and be willing to make sacrifices to hit it. The manufacturer doesn’t really care that much, especially since their name isn’t getting slapped on it. Several Jalopnik commentator and the outlet itself encouraged users to do their own research. 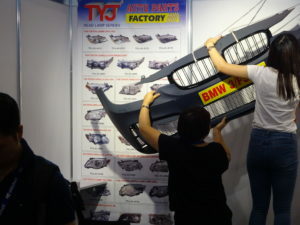 As we discussed when referencing the “Wild West” Jalopnik piece, it’s unlikely that the customer or insurer has researched the quality of the aftermarket part selected by a carrier, aside from the insurers which only write for certain classes of certified parts (which are controversial in their own right). The burden and lost cycle time of research — and the liability should the part fail — still rests upon the shop, which likely didn’t want to use the part or do that homework in the first place. Multiple OEMs also have warned shops not to use anything but new OEM components. That said, LKQ does promise to indemnify any shop because of an aftermarket product failure, a vow repeated by Corporate Accounts Vice President Terry Fortner during the July CIC. Asked if this scenario had ever happened, Fortner replied: “That would be proprietary.” He referred those interested to the company’s 10-Ks. The burden of tracking a failed aftermarket part and notifying a customer also largely rests upon the shop, we found through conversations with CAPA, NSF and insurers. 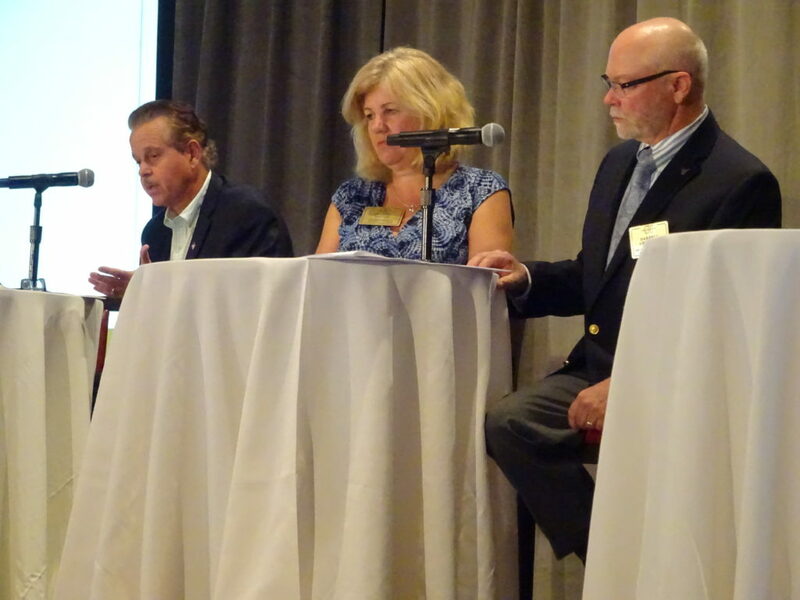 CARSTAR Mundelein co-owner Jeanne Silver — a CAPA advocate — said during the July CIC that a better system of reporting and tracing unsuitable aftermarket parts needed to exist. There’s also not a great way to research a part short of ordering it and running your own tests, as some shops have done. Aside from body shop social media, there doesn’t seem to be a good source of reviews or independent vetting of aftermarket parts — including a second opinion on those certified by another organization. The last independent crash testing publicly done on anything certified was a 2010 Insurance Institute for Highway Safety 5 mph full frontal test and 40 mph moderate offset CAPA bumper beam test of a single model, a 2008 Dodge Ram pickup. (CAPA passed; two other aftermarket bumpers tested on a 2009 Camry and 2005 F-150 flunked.) That’s two years before the IIHS instituted the tougher 40 mph narrow-offset crash test and hardly a comprehensive study of either all the manufacturers producing aftermarket bumper beams for the 2008 Dodge Ram or any other model year.